Elizabeth Aguilera is an award-winning multi-media journalist who will cover health and social services for CALmatters. She joins CALmatters from Southern California Public Radio/KPCC 89.3, where she produced stories about community health. 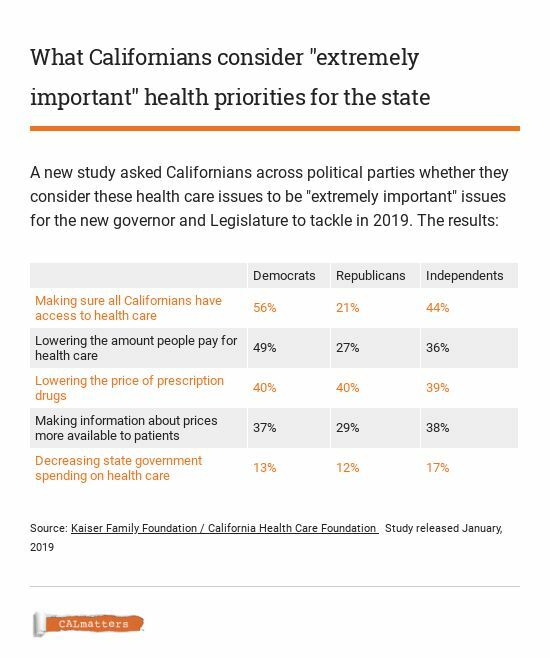 It was way easier for candidate Gavin Newsom to endorse single-payer healthcare coverage for everyone than it is now for Gov. Newsom to deliver it. Newsom has taken two tacks. He’s asking the Trump administration to let the state create its own single-payer system offering coverage to all Californians — a move almost everyone regards as a very longshot. And he’s also pushing specific ideas to expand healthcare coverage to hundreds of thousands of still-uninsured Californians — a move that seems much more do-able. During his campaign, Newsom promised the nurses he would make it happen. But the state can’t do it alone. That’s why he sent a letter to the federal government right out of the gate, asking the administration and Congress to set up an “innovation waiver” to allow California to create its own single-payer system. Federal permission would also require Congress to support a new waiver system — one that would allow the state to redirect funds that usually go to the federal government, such as Medicare income taxes, to a state funding authority that would manage and pay for a single-payer healthcare system, Kominski said. Current waiver systems do not allow for this type of financial management by the state. Other states have used existing waiver programs for permission to set prices or to implement additional requirements, but not to collect federal money. 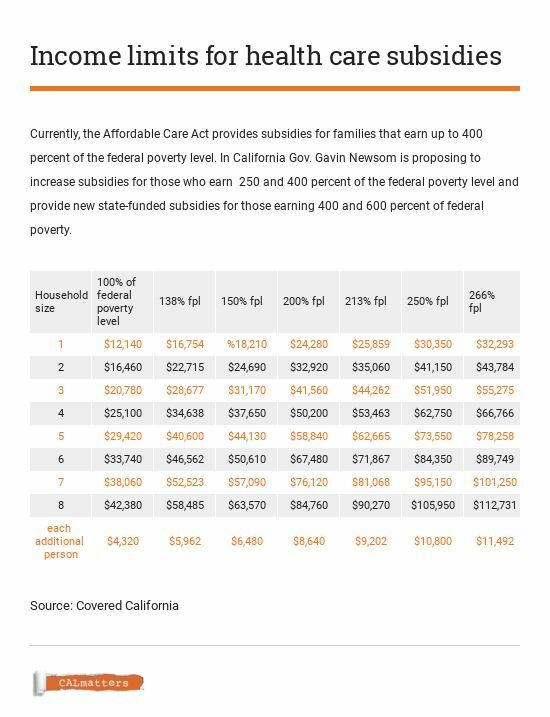 The budget does not include cost estimates for the additional subsidies, but Newsom intends to pay for the expansion by having the state collect penalties from Californians who forego insurance. His budget proposal estimates that the mandate penalty could raise about $500 million a year, similar to what about 600,000 Californians paid to the federal government when it had a mandate and collected its own penalties. 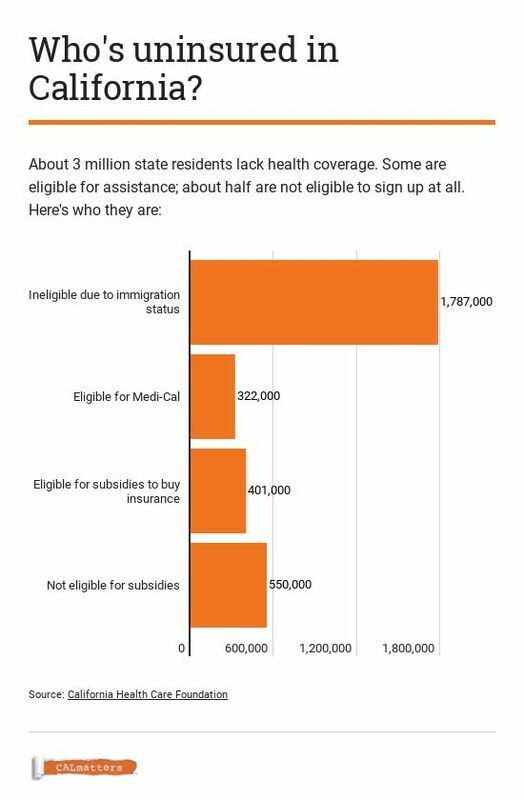 Funding the subsidies with penalties is, of course, a bit of a Catch 22: The more successful California is in getting people to obtain healthcare, the smaller the penalty fund to pay for the subsidies that help fund that care. Despite what many see as dismal prospects for single-payer in California so long as the Trump administration can quash the state’s waiver request, the California Nurses Association is undaunted. They’re working on a soon-to-be-introduced single-payer bill, more detailed than the version that died in 2017. That one carried a $400 billion price tag, more than three times the state’s annual budget, but lacked support from then-Gov. Jerry Brown and was scant on details. The new version, nurses union rep Roberson said, will be specific about how single-payer would work and how it would be paid for.